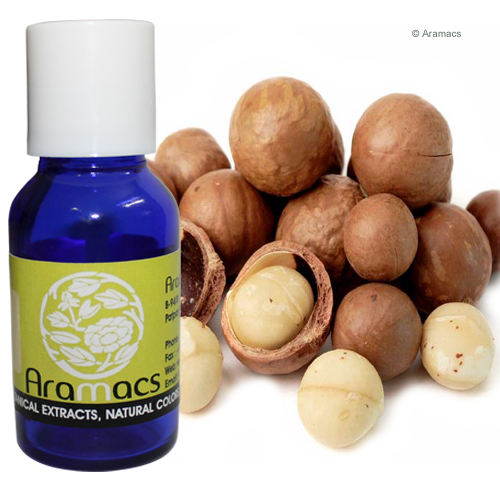 Macadamia oil is also known Macadamia nut oil. This non-volatile oil extracted from nut meat of the Macadamia tree. Its biological name is Macadamia integrifolia and it is native to Australia. This oil is also used in food for frying, as a salad dressing, in cosmetic formulations as a fragrance fixative and emollient. 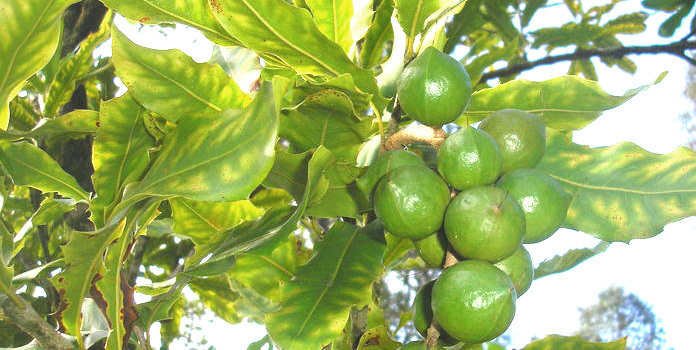 Macadamia is also cultivated in other parts of the world. The fatty acid of the oil is not affected by environmental factors. The oil has similar characteristics as that of vegetable triglyceride oil. It is also stable due to low polyunsaturated fat content. It is liquid at room temperature but when it is refined the oil is clear with light amber color and gives a slight nutty smell. Macadamia oil is one of the important ingredients in Australian cuisine. Since the oil is rich, highly oxidative and has a cushiony feel, it is suitable for sun care formulations and heavy creams. It is highly restorative oil and helps to fight the signs of aging being excellent carrier oil. Medicinal uses: It is the new oil and has been found useful in many skin conditions. It is very helpful in the treatment of acne when used mixed with lavender oil and basil oil. It is also used in dry and oily skins both. For dry skins it is used with chamomile oil while in oily skins it is mixed with peppermint essential oil. Precautions: It should not be used in concentrated form because it may cause rashes on the skin.